VitalSource Bridge is a sophisticated content delivery platform for distributing your digital content to target customers. Easily distribute large collections of your content in a variety of formats. Reach new customer groups through the creation of collections featuring single or multi-discipline specific content for institutional or library collections. Drive traffic to content and offer exclusive access to products and pricing through giveaways, short duration trials, sneak previews, or discounts in your e-commerce channel. 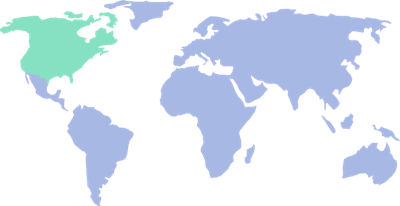 Rich business rules and a simple administration function make the control of access rights flexible and easy. Selling or sampling content? Billing an institution or a student? Bridge is the solution. 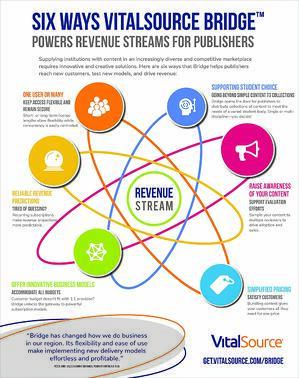 New, flexible licensing models are effortlessly powered through Bridge, helping publishers easily create new revenue streams. Bridge can help you implement new delivery models and drive revenue. Download the infographic to learn more.